Category Breakfast and tagged paleo blueberry waffles, Paleo waffles. For a couple of weeks now I've been getting ore made paleo meals for lunch from a local store. I'm usually home with my youngest at lunch time and I thought it would be nice to have something different for lunch every day. Last week one of the lunches was a burger served on a paleo waffle. It was DELICIOUS! That got me thinking about waffles. This morning I got out my Against all Grain cookbook and found this recipe. By the way this cookbook is incredible. If you need a new paleo cookbook it would definitely be a good one to get. 2. In a blender add all ingredients except the blueberries. 4. Pour batter into waffle iron, filling halfway and speed evenly. Sprinkle blueberries over the batter. 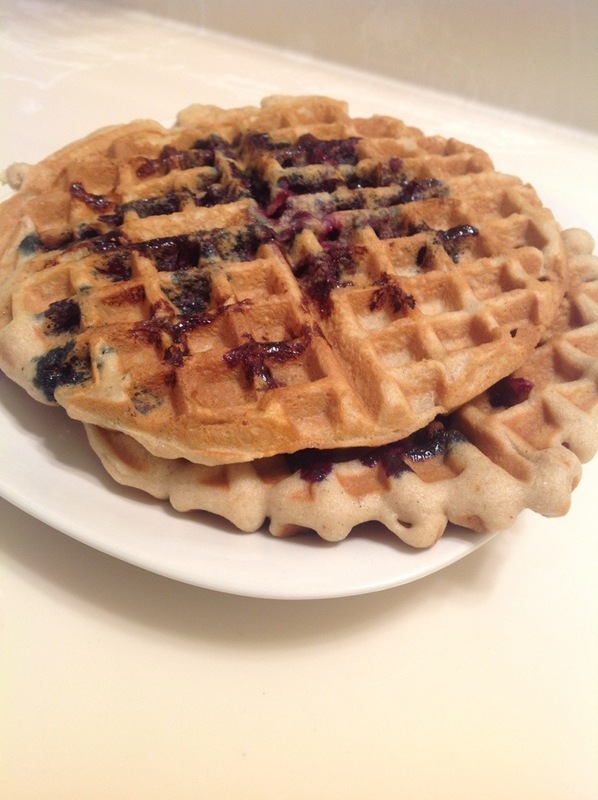 This entry was posted in Breakfast and tagged paleo blueberry waffles, Paleo waffles. Bookmark the permalink. Hey! I was curious as to where you get the pre made paleo meals from in Baton Rouge? Thanks!! Hey- I’m actually in Alexandria. If I hear of anything like it in Baton Rouge I will let you know. Hey, where do you get your paleo-fied waffles? I’m in Old Town.